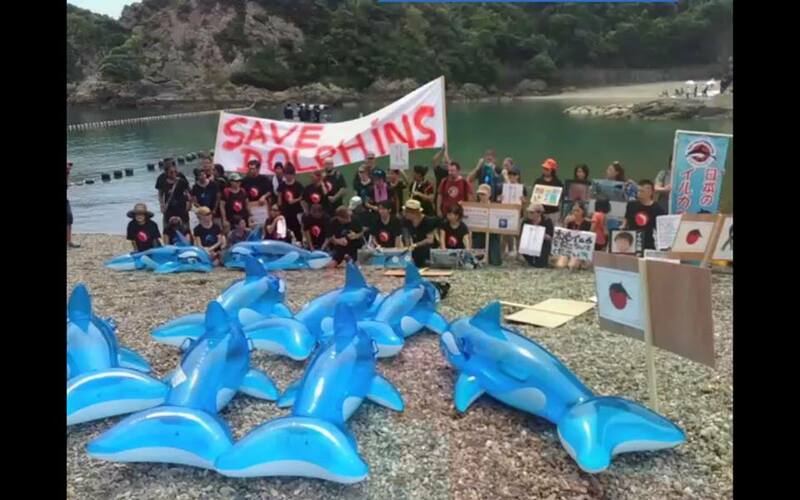 While the Ric O’Barry Dolphin Project and over 100 Japanese and foreign activists demonstrated on the shores of the Cove in support of the dolphins on September 1st, the opposing right-wing had a whale meat BBQ on the opposite shoreline broadcasting Hawaiian Luau music, and touting tradition. 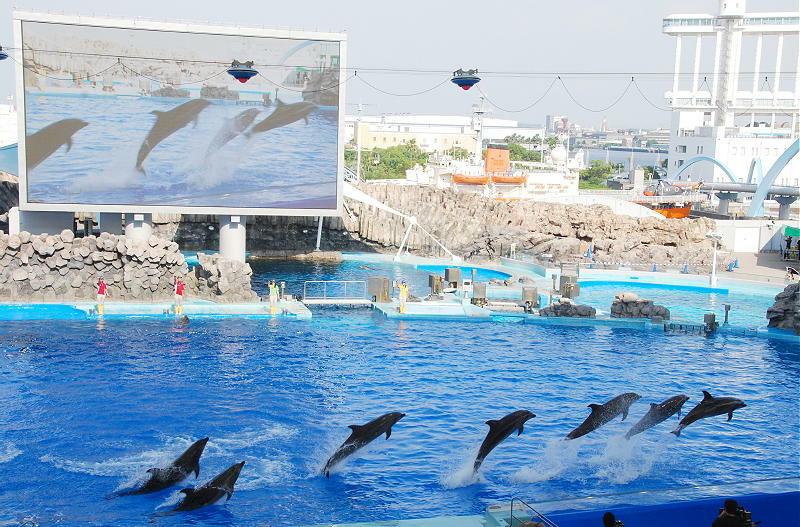 The Right Wingers put on a good show for this first dolphin drive but in fact it had nothing to do with eating dolphin meat but rather fulfilling the orders for display dolphins placed by aquariums and marine parks from all over the world. “It seems gruesome that one of the founding partners of Dolphin Quest (swim-with-dolphins facilities located in Hawaii and Bermuda), Dr. Jay Sweeney DVM, now spends his days carving dolphins out of wood, as he stood by while dolphins were carved up in Taiji. His direct involvement with the removal of dolphins and small whales from Japan to amusement parks in the U.S. is irrefutable. Find a list of Jay Sweeney DMV’s captures of dolphins obtained through drive fisheries in Japan here. “The southern part of Wakayama prefecture has little arable land with many precipitous mountains. Because of this, it has been natural for the local residents to take whales and dolphins which come close to the coast, and utilize them as food. In Japan, we utilize all parts of whales for various purposes not only as food but also as materials to make craft products. Since its beginning, the substance of our whaling has been different from that of other countries which, until petroleum came into use, killed an enormous number of whales for the sole purpose of obtaining whale oil, throwing the meat away into the ocean”(source). Port of Nagoya Aquarium working with WAZA displays drive fishery dolphins. In looking at all the evidence it seems while slaughter, and the meat maybe the byproduct the very non traditional capture of dolphins for modern marine parks and aquariums is not tradition. The only way to end the slaughter is to stop the show, stop the real exploiters those paying $150,000 dollars for a trained disposable dolphin from Taiji drive fisheries. Join the September 3rd event now! TELL IMATA (International Marine Animal Trainers’ Association) & WAZA (World Association of Zoos and Aquariums) TO $TOP $UPPORTING THE $LAUGHTER IN TAIJI !! Watch your Cove Monitors and Cove Guardians as they report from the cove daily as the drive season continues. Together we can make a difference! Be a voice for the dolphins! This entry was posted in Cetaceans, Dolphins, Whales and tagged Dolphin Project, dolphins, IMATA, Japan, Ric O'Barry, SeaWorld, taiji, the Cove, WAZA by Kirsten Massebeau. Bookmark the permalink. It is terrible!! Dolphins are not for slaughter! 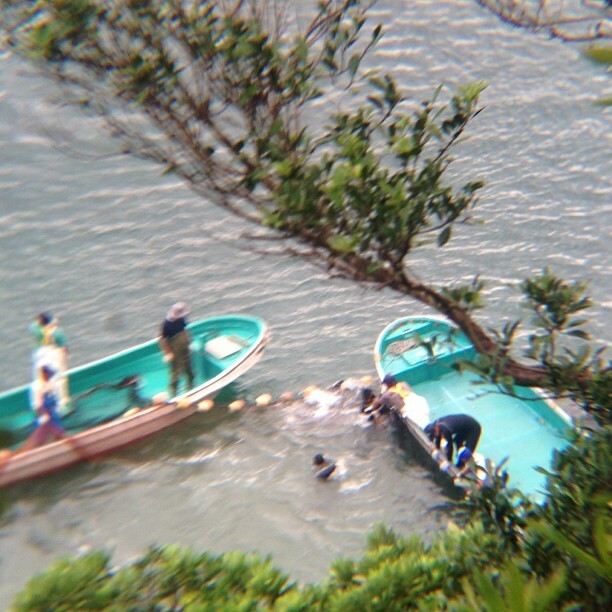 approximately 60 bottlenose dolphins into the cove. Thank you for putting this information out there. I have just recently become aware and horrified by the terrible situation of captive dolphins and whales and drive hunts. I can walk to the Dolphin Quest Kahala from my house and have been there many times for drinks/dinner. I am trying to formulate a plan to approach the hotel management and my neighbors – I want to do it effectively – though I feel like running into the lobby screaming at them..
they never mentioned the pilot whales in that agreement…thanks for sharing the information. Only bottlenose dolphins were included in the WAZA Agreement but that is only for September. During Red October and the rest of the season the bottlenose will again be slaughtered with the pilot whales and all the other species included in their quota. The sleepless nights I’ve spent after learning about these practices in Taiji last year and my involvement for the movement to stop this has been life changing for me. Thank you for posting this video. This is such an outrage. Kirsten, thank you for writing about this. My heart is heavy with disgust and sadness regarding this deplorable agreement. We’ve come to learn, as cetacean advocates, that we should expect such detritus from the brokers and profiteers of enslavement, but usually it’s subtle and one has to dig to find the evidence. I never dreamed, in my worst nightmares, that we’d see such a blatantly public, overt gesture as this from the captive industry. To see major organizations (which allegedly “care” for the welfare of animals) negotiating with those who not only kill dolphins, but do so in the most unbearably slow, cruel way, is beyond comprehension. This situation is devoid of any capacity for positive rationalization whatsoever. I am, in a word, appalled. Thank-you for your comment Ana. What I found ironic was the emphasis on eating dolphin meat when their objective is take the people of the sea for display and marine parks or rather cetacean prisons. These people say they care yet the truth has been revealed!